I have a custom LS2 ignition set-up for sale. 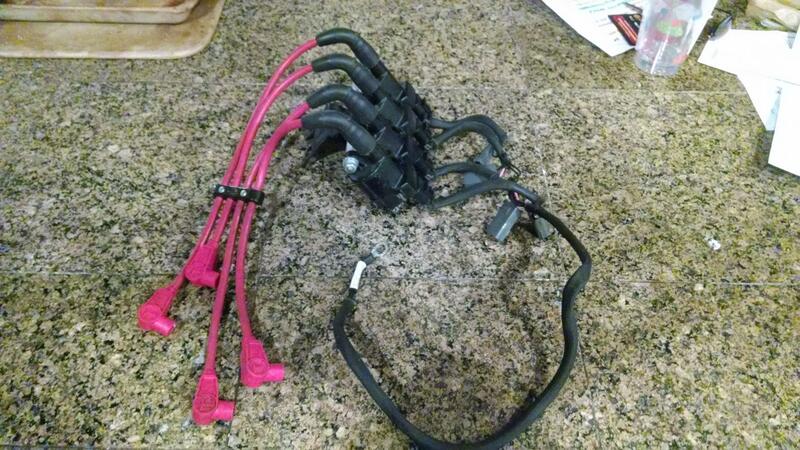 Kit comes with all 4 LS2 coils, mounting plate, harness, ground cable and 2 sets of custom ordered plug wires. **Disclaimer** - I belive the kit has one bad coil in the set-up. the coils are very inexpensive (less than $20.00) but I just never got around to testing to find out which one is bad. Other than that, the kit is sound. This is the reason I am selling so cheap. I paid $350.00 for the kit last year. I will take all the pictures you want. Just e-mail me @ [email protected] or feel free to call me @ (985) 856-8085. I will answer any questions you have.